You never know what you might see in your own backyard, especially if you live in Colorado. While growing up in Wisconsin, I never once set eyes on a hot air balloon. The abundance of trees and lakes make cloud hopping too risky. My only experience with them was in the movie, The Wizard of Oz. They are a common sight in the wide open vistas of Boulder. This photo was taken as a balloon sailed over our yard on Saturday. I always imagined I would float up to the sky if I held enough helium-filled balloons. Did you? Many thought the same thing in 2009 when the Heene’s of Fort Collins claimed their balloon craft flew into the sky with their son stowed away inside. After they revealed that it was a publicity stunt, they allowed him to come out of his hiding place – the attic of their home. 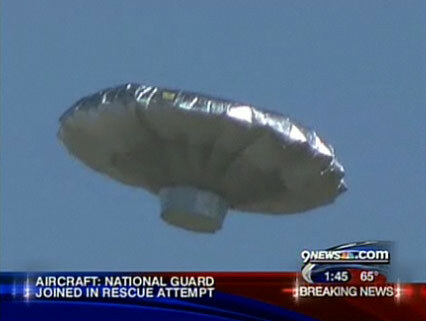 It became known as the Balloon Boy Hoax. Hey. I wasn’t the only one fooled by the Heene’s. Do you see the caption under this photo? When I read that a pair of adventurers attempted to fly from Oregon to Montana while seated in lawn chairs suspended by helium balloons, I thought, “I won’t be fooled twice.” Then I learned that each balloon was 5 feet in diameter! Unfortunately, within two hours of the flight, the men landed hard when they were hit with a hailstorm. The balloons soared back up into the sky. They had hoped to fly across Iraq later this year. Instead of hot air to control the upward and downward motion, they had been using a BB gun to shoot enough balloons to lower them to the ground! Hot air ballooning takes place in the early morning when the air is cool. It rises into the sky when air is heated and captured in its “envelope.” Fire restrictions (now lifted –pun intended), in Boulder prevented the use of hot air balloons since they use an open flame. That is what makes the distinctive sound. When I first moved here, I looked all around trying to figure out where that peculiar breathing noise was coming from. It took me a while before I looked up! I captured the sound when videoing a couple of hot air balloons in my backyard this weekend. The balloon is much closer than it looks. It occurred to me after they shouted hello from their wicker basket perch, that I may end up in their YouTube video. I better not run out scantily clad in my pajamas next time! Would you like to take a hot air balloon ride? Thanks! I guess I have been sort of covering the news in the area with the fires and all. Afraid of Heights…can’t do the balloon thing! Will stick to airplanes…large ones. That would be terrifying for you! Hot air balloons are big in my area as well. I’ve been inside one, before it lifted off. Being claustrophobic and scared of heights is the kind of daily double that cancels me out. I never thought of claustrophobia, but I guess if you panicked and screamed, “I want to get down! NOW!” That could be a problem. I’m working on one fear at a time, Susie. Currently, I’m facing my fear of sous chefs named Amy. It was a long time ago, but it lingers still . . . I enjoyed your pix and video immensely, but I have never seen a hot air balloon float over the Big Apple. I have seen many MetLife blimps and last year, an orange one advertising Conan’s TBS broadcast that I initially misread as Conair and I assumed it was shilling the hair dryer. In this day and age I imagine a hot air balloon wafting over the Big Apple would be some kind of air space security breach. Our skies are full of news and police choppers out here. They were another loud everyday annoyance when Operation Wall Street was thriving. Would this city slicker ever ride in a hot air balloon? I think I’d sooner hang glide over an active volcano naked. I think there are too many obstacles, buildings and water. And some idiot could use it for target practice! I will take that as a “no” to the question of a hot air balloon ride. Hahaha! I’ve had several flights in small single engine planes, that looked about the size of a VW with wings and a tail – and I just loved the experience every time! I also was in a glider flight and that was very cool too. I grew up in rural Pennsylvania and the balloons would land in our back yard and as a “thank-you” the people inside would share their breakfast (and champagne for the grown-ups) with us! Awwww! That is sooo nice! What a great memory! I’d love to ride in a hot air balloon! That’s so cool that it flew over your house. It’s a common sight on the weekends, but I don’t think they usually come so close to us! Hahaha! I think you are right! Balloons are frequent here in the central pa area, Hershey usually has at least one big show, in the fall I believe. Great magical things hot air balloons. Love your pictures! Thanks SF! They are wonderful to watch! Fun – and in your own back yard! Yes! There were a couple today! Great Story and pics here in Illinois we’re lucky if there are Blimps flying around. Though we did get a lot of those big fancy military helicopters flying about when Chicago hosted that Nato conference. I have always wanted to go to the balloon fest in Albuquerque in the fall. It looks as thought they really pack them in too! At $200 a pop (no pun intended) they can really rake it in. Get married in one! How wonderful! Your union would start on a very “high” note. I know what you mean! Because I am considering sky diving, hot air ballooning seems so tame! Thanks for reading and commenting Emma! Susie you live in one of the best places in the world , you sure make it look like that…with your lovely write ups..i would love to take a balloon ride but what i would like more is to be your neighbour .. I do live in a beautiful place and would LOVE to have a fabulous neighbor like you! I’ve always wanted to go up in a hot air balloon, but the cost has held me back. Someday. Isn’t there a big hot air balloon festival in New Mexico? Have you been? Yes there is one in New Mexico. 🙂 I haven’t been, but I bet it is amazing. I have been seeing them almost every morning this week. It is a very peaceful and beautiful sight! 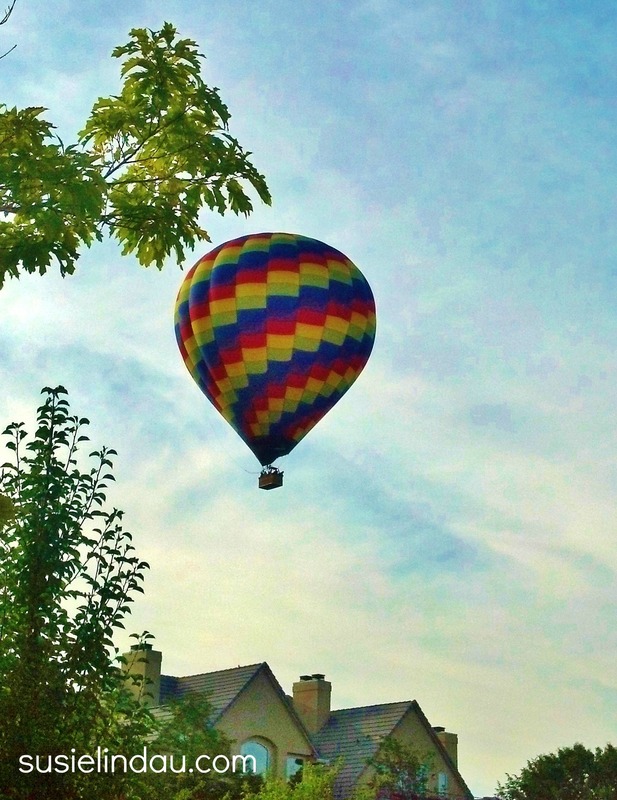 As our house faces the front range, we have the lovely view of hot air balloons too. They even land in the open field behind our neighbors’ side of the street, so we see them really close. It’s always a harbinger of spring or fall too (as the air temp is right for the flights). Do you ever think the temps will lower? I think it will be 102 today. Aren’t they fantastic? I feel so lucky to see them out the window. We will have to meet up one of these fine days! 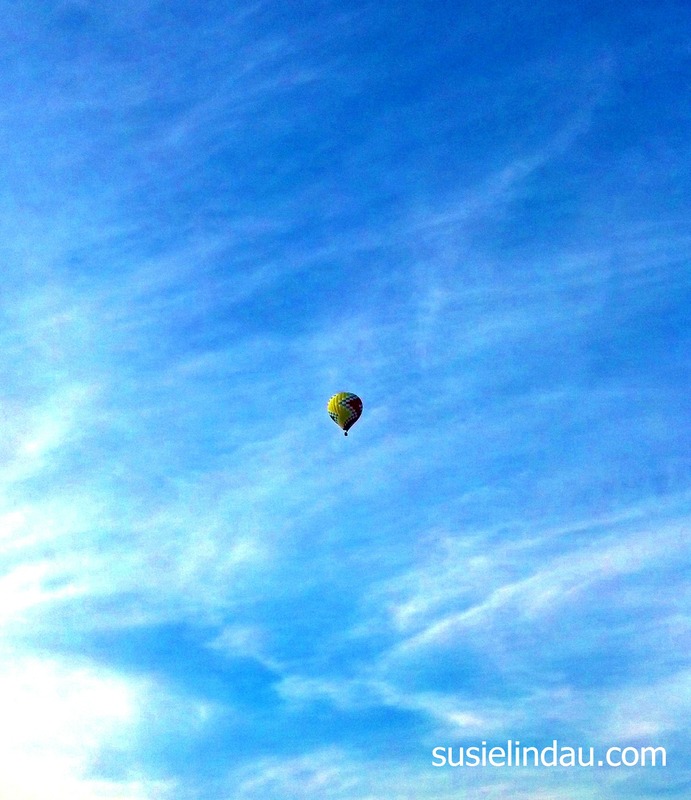 I love balloon riding here…..an event I love to photograph. I recommend going early on Saturday and bring chairs and a umbrella and day camp as this day is filled with music, fun and an evening balloon glow that is pretty spectacular.